Illustrations: 35 black-and-white photos, 14 examples of line art, 28 maps. 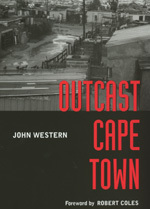 Social geographer John Western analyzes the urban spatial planning of the 1950 Group Areas Act that achieved, in the built environment of Cape Town, the racial separatism of apartheid. His new prologue for the paperback edition assesses the changes to be expected from the new government and the obstacles to significant change. John Western is Professor of Geography at Syracuse University and author of A Passage to England: Barbadian Londoners Speak of Home (1992).